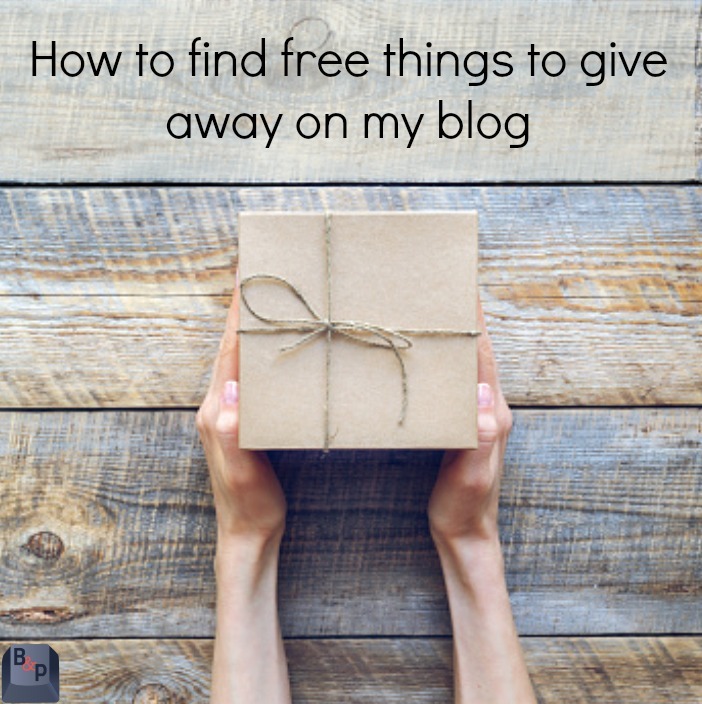 Today I am sharing my tips on how to find free things to give away on my blog. When I first started blogging, I decided to host a few giveaways to help readers find my page. It worked, but I was paying for my own items… until I realized that I didn’t need to do this because there were businesses that WANTED me to give away THEIR items at no cost to me! Here are a few tips to find items to give away for free. 1– Contact someone that sells something (Origami Owl, Thirty-One, Tupperware, Mary Kay, etc…) and ask them if they will give away an item and you will share a link back to their page. Most of them will be happy to have the extra exposure. I find that most of them will give away a gift card for around $100 (at no cost to me.) I also ask them if they want to offer a 10% discount to my readers. This will bring them extra business, as well. Example: I recently contacted a company to see if they could provide a product that I’ve been wanting for our son for Christmas (worth $400). I told them how I wanted to include it in a post and I asked if they would provide a second one to giveaway on my blog. They asked for my stats and I was quick to respond. They sent me an answer of YES & YES! The worst that they could have said was no, so it is worth it to ask. I was recently in a giveaway where 18 bloggers joined together and we each gave $10. We were able to purchase a brand new Kitchen-aid mixer for one lucky winner! Plus, I got a bunch of new readers from this giveaway (yay!). A LOT of my sponsored posts will come with giveaways. I would say that 60% of them include a giveaway of the product that I am reviewing. This is really the best because you are being PAID to give away one of their products! 5- Go to a local store or place of business. When I was a teacher, I would often go to local businesses (movie theaters, pizza places, coffee houses, etc…) and ask them if they had anything that I could give to certain people that helped out a lot in our classroom. When I was the Room Mom for our son’s preschool classes and in charge of gifts for all of the teachers at the preschool, I did the same thing. I went to local stores and asked if they had anything that I could offer the teachers for the preschool. Again, I was rarely given a “No”. Most people want to help out and they want to promote their business. I have done this in the blogging world, too. I have called local companies and asked for a product or gift card to giveaway to my readers. I am sure to give credit where credit is due (“thank you to ____ for giving us this great product to give to you!”). In the end, hosting a giveaway is a great way to give back to your readers and most companies are glad to help! Don’t get too carried away though. Too many giveaways and it loses its “spark”. I do more during the holidays and I highlight them with a “ps- check out this giveaway this week” when I send out my newsletter. Your turn- share your best tips or recourses for your giveaway prizes.